Deported Students Find Challenges At School In Tijuana : NPR Ed More than half a million children born in the U.S. have ended up in Mexico because their parents were deported. 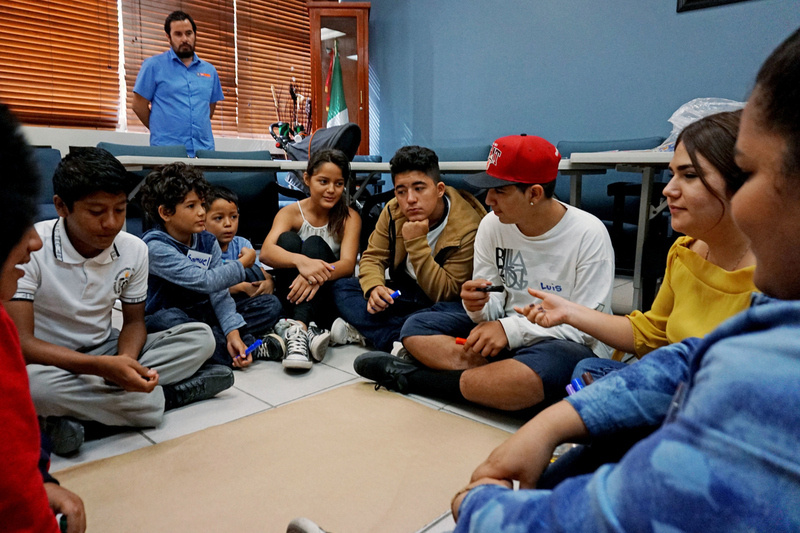 New arrivals to Mexico discuss challenges during a class at the Tijuana Education Department. 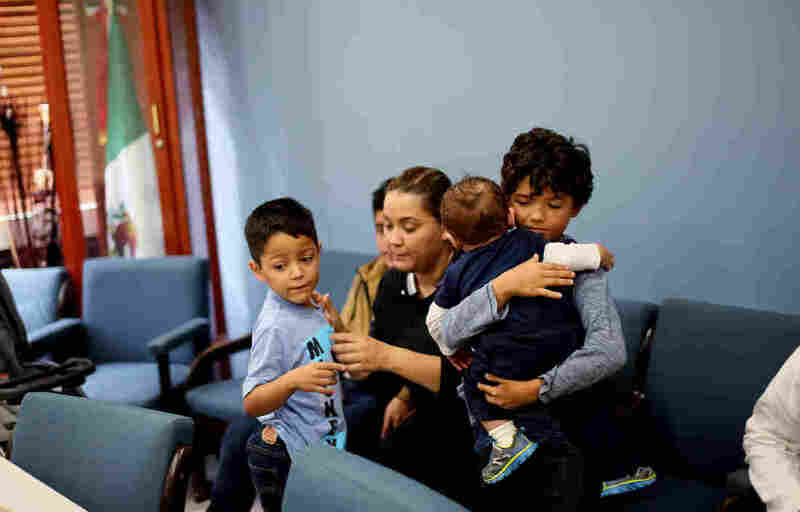 As President Trump moves to fulfill his campaign promise to deport millions of immigrants who are in the country illegally, they'll most likely include Mexicans whose children were born in the U.S.. Over half a million of these kids are already in Mexico. Researchers call them "los invisibles", the invisible ones, because they often end up in an educational limbo of sorts. Most don't read or write in Spanish, so they're held back. Many get discouraged and stop going to school. In some cases schools even refuse to enroll them. 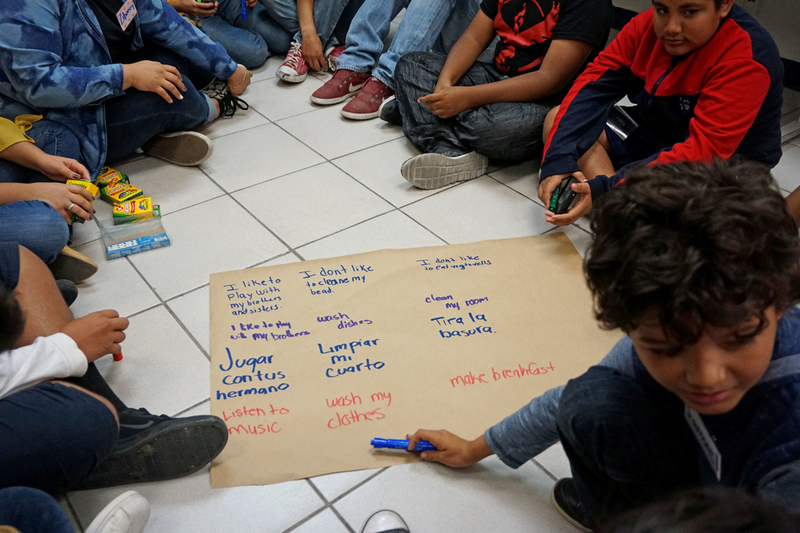 In the border city of Tijuana, however, there's a model program designed to help these children. Some of the concerns the new students wrote. At 20 de Noviembre Elementary, for example, roughly one-tenth of the school's 700 students were born in the U.S. Administrators and teachers here have embraced kids like Anthony David Martinez, a skinny 9-year-old who recently arrived from Barstow, Calif. That's where he was born. Anthony could have stayed in California because he's a U.S. citizen, but his parents are not. They were forced to return to Mexico and didn't want to split up the family. "I was like, 'Oh no, I'm going to have to make new friends, new school, new everything,' " says Anthony. "But now I'm happy here." Anthony's fourth-grade teacher says his Spanish is "a work in progress," but he has learned how to read and write in Spanish fairly quickly. It wasn't easy switching from English to Spanish in class or when doing his homework, says Anthony. He's still not used to saying the name of his school in English — 20 November. "It's kind of weird," he chuckles. At 20 de Noviembre, children like Anthony are not segregated or put in some corner of the school. They're paired with native Spanish-speakers and they get lots of one-on-one tutoring to build their vocabulary and grammar in Spanish. To keep them from feeling frustrated or isolated, they're allowed to mingle with other English-speaking kids during the day so it's not uncommon to hear English at recess or lunch. 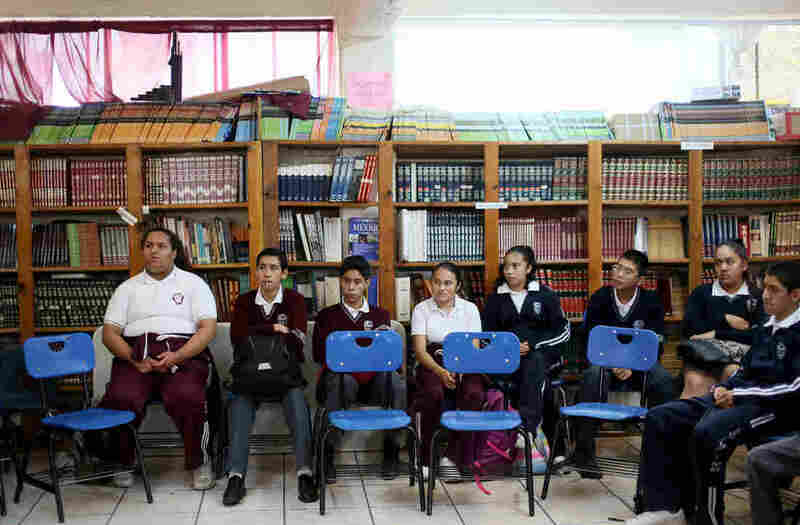 There's no stigma to speaking English because it's a highly prized skill in Mexican schools. 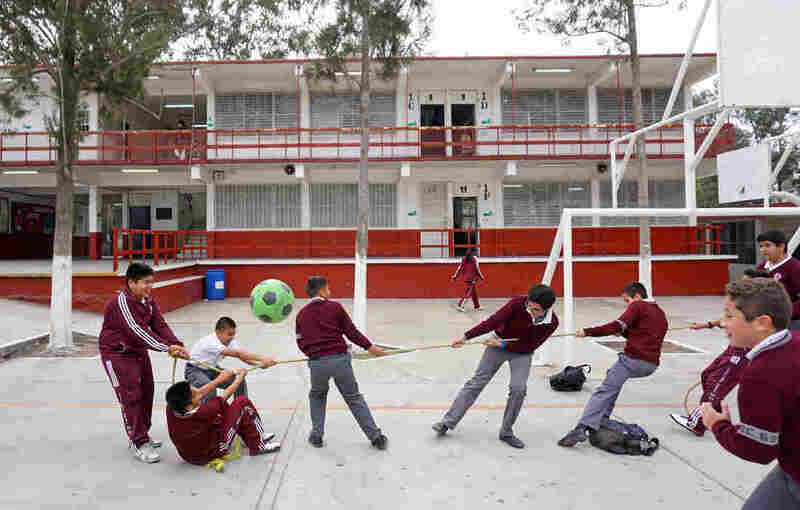 Researchers say this is the model for how schools should treat and teach the half million U.S.-born students who've enrolled throughout Mexico. It has become more urgent because their numbers are growing, says Amparo Lopez, a state coordinator with Baja California's Department of Education. This school year alone, she says, more than 12,000 students from all parts of the U.S. enrolled in schools across the state. That's on top of the 58,000 who were already here. Only the border state of Chihuahua has received more. Lopez says the surge began in 2006 with a sharp increase in deportations, followed by even bigger increases during the Obama administration. And it wasn't just because people were being deported. Many Mexican immigrants working illegally in the U.S. returned on their own because they lost their job during the recession. Today, many of these families are struggling in Mexico, and their kids are feeling the stress in school. In Tijuana, school officials have been quick to identify those who need the most help. Recent arrivals are invited to meet with tutors and counselors at the school district's offices at least once a week. It has been especially helpful for kids like 13-year-old Julian Sanchez. He's a U.S. citizen born in Los Angeles. His mom and dad had crossed into the U.S. illegally before he was born. They were recently deported and Julian had no choice but to come to Tijuana with them. He does not speak Spanish. "I don't know, like, how to read it or write it," says Julian. His mother, Araceli Sanchez, says she tries to help him with his schoolwork in Spanish, but he's still struggling to learn the language. 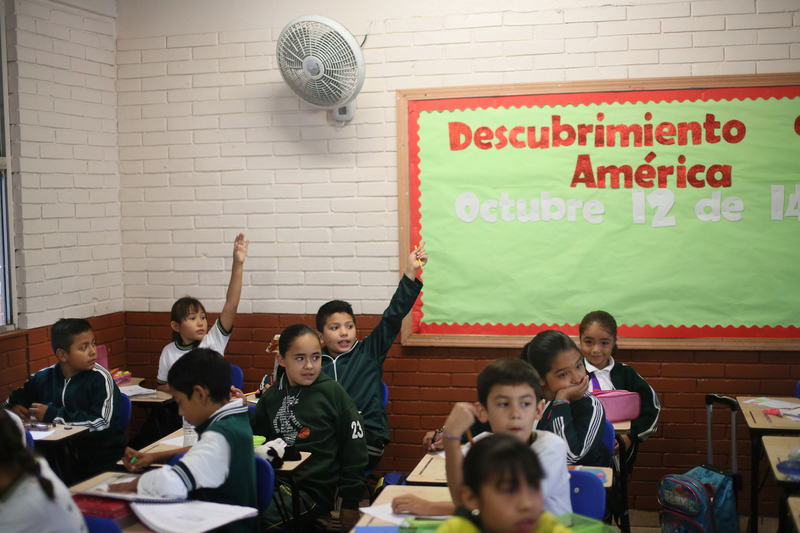 Students raise their hands at the Escuela 20 Noviembre school in Tijuana, Mexico. "At least here," she says, "with the help of tutors he's learning more words and proper grammar." But counselors say these kids need a lot more than that. Their self-esteem is really low when they arrive. Most are deeply sad about leaving their homes in the U.S. and schools don't always know how to help them. Which brings us back to 9-year-old Anthony and 20 de Noviembre Elementary in Tijuana. Anthony is thriving because he gets so much academic and emotional support. It's the reason his Spanish has improved so quickly. But there's something else about Anthony. He seems to be learning a lot about himself and the world he left behind in California. "I was never white when I was in Barstow," he says. "I was always brown." Now, he adds, "I see myself more Mexican. I belong in Mexico. This is my home." Anthony isn't sure when he'll return to the U.S., but says he wants to, some day, because it's home, too. He is, after all, a U.S. citizen by birth. A previous Web version of this story incorrectly said that Julian Sanchez does not speak English. It should have said he does not speak Spanish.